This cool looking pen is the Acme Studio SCALE Retractable Ballpoint pen designed by Shigeru Ban. 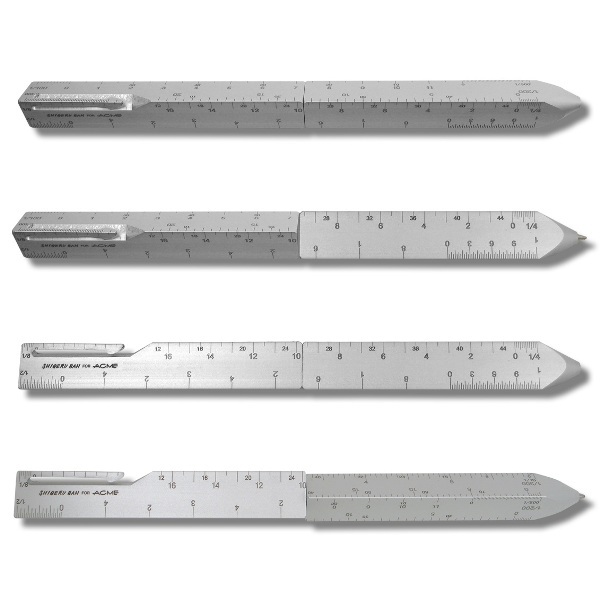 It has two functions – it is a pen and an architect’s scale (a triangular shaped ruler containing multiple scales used by architects and drafters when drawing up floor/building plans back when this was done by hand). The pen is made of etched aluminum and retracts with a twist. This could be a cool gift for the architect in your life. The SCALE Retractable Ballpoint pen is available through Amazon for $90. 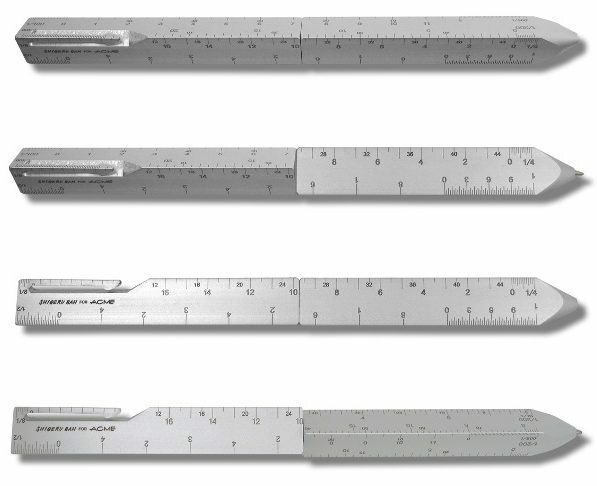 The trick is that you will need a separate pen to write down your measurement results.